Brigade Enterprises, Godrej Properties, Indiabulls Real Estate, Sobha and Oberoi Realty from the Nifty Realty index were up in the range of 2 per cent to 7 per cent on the NSE. 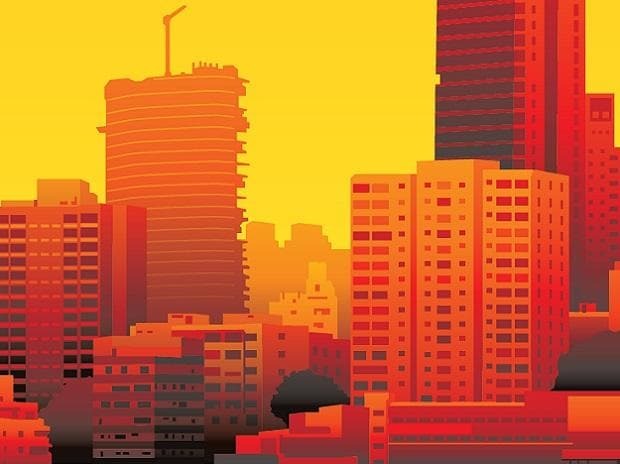 Shares of real estate companies rallied up to 18 per cent on the National Stock Exchange (NSE) in the intra-day trade on Monday, after global investment firm Blackstone and Embassy Office Parks on Friday raised Rs 1,743 crore from anchor investors ahead of the India's first real estate investment trust (REIT) issue that opened today (March 18). At 02:51 pm, Nifty Realty index, the largest gainer among sectoral indices, was up 2.7 per cent, as compared to a 0.01 per cent decline in the benchmark Nifty50 index. Among the individual stocks, Prestige Estates soared 18 per cent to Rs 255 on the NSE on back of heavy volumes. The trading volumes on the counter jumped nearly three-fold with a combined 5.48 million equity shares changed hands on the NSE and BSE so far. Bengaluru-based Embassy Property Developments plans to raise Rs 4,750 crore from initial public offering (IPO) that opens today. The price band for the Embassy Office Parks REIT IPO is Rs 299-300 apiece. The trust’s portfolio comprises about 33 million square feet of office space across four Indian cities, Bengaluru, Pune, Mumbai and Noida. The REIT issue has elicited strong response from domestic and foreign investors. Damani Trust, Fidelity, American Funds insurance, Aviva Investors, TT Emerging, Schroder, Citigroup, Kotak Mahindra Insurance, Wells Fargo, Lockheed Martin, Morgan Stanley France, Japan Trustee Services Bank are among 59 anchor investors.